CAPTOR clearly follows a participatory and co-construction approach across the different phases of the project. Participation and co-construction are both based on the principle of equal partnership across the involved actors, combining scientific methods with knowledge from grass-root environmental activists and engaged citizens of local communities as experts in their fields and respective environments. 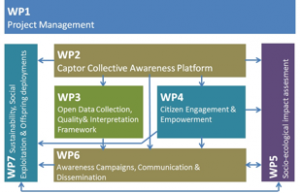 WP4 is focusing on the citizen engagement and empowerment activities. WP5 evaluates the interventions and measuring the impact of the project. WP6 engages local communities on the citizen science instantiations and collaborative learning. WP7 is engaged in exploring new ways of exploiting the project results, creating a sustainable environment for the CAPs after the project funding and supporting offspring initiatives. Three ozone measurement campaigns will be carried out during the summer periods in years 2016, 2017 and 2018 by volunteers. The first (2016) campaign will mainly be carried out in the testbed in Barcelonès-Vallès Oriental-Osona (Catalonia, Spain). 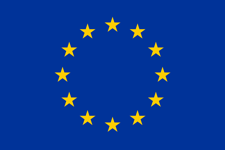 The second (2017) and third (2018) campaigns will be carried out in the testbeds in Barcelonès-Vallès Oriental-Osona (Catalonia, Spain), Pianura Padana (Po Valley, Italy) and Burgenland, Steiermark and Niederösterreich (Austria). The data captured in the testbeds will be available after the end of each campaign in the website button “Explore Ozone Data”. In addition, these data may be visualized in real time during the campaigns using the app CleanAir (coming soon). Moreover, continuous citizen and empowerment activities and initiatives to assess the impact of these activities will be performed during the whole project.